I got an email from Eric Woolf the Online Media Coordinator for Fons and Porter magazine http://www.fonsandporter.com asking if I would be interested in doing a review of an ebook that they have put together. I said sure! Back to the ebook. This book is full of colorful pictures and great information about making Log Cabin Quilts. It also has some great size charts so if you are interested in making different size blocks from the ones featured it is easy to do. Different kinds of Log Cabin blocks are covered: Traditional, Court House Steps and Chevron (Off Center). Binding with piping and Trapunto Bobbin Work are also explained. 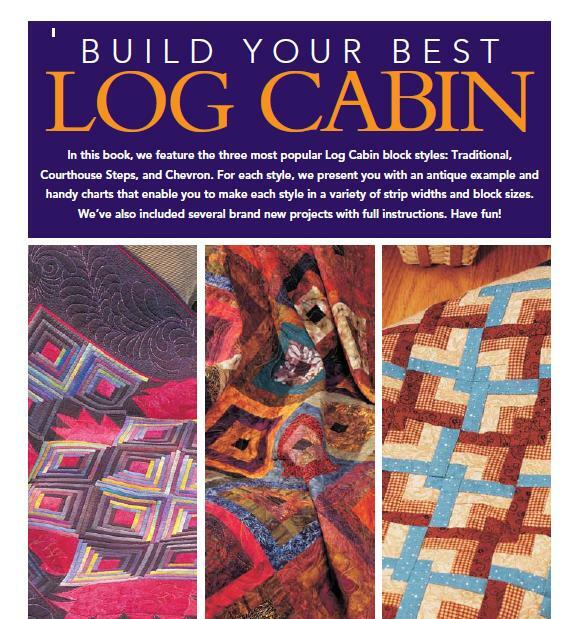 If you think you might want to make a Log Cabin quilt then this is an excellent FREE reference book for you to have. You can download it here: http://www.fonsandporter.com/landing/free-log-cabin-quilt-patterns You will be asked for your email address and will be put on the Fons & Porter newsletter list. If you haven't entered to giveaway on my previous post make sure you do this weekend. I'll announce the WINNERS on Monday. 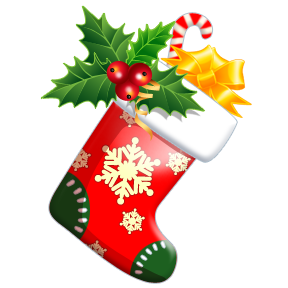 The CHRISTMAS STOCKING HANG OUT Linky Party starts Monday. I hope you will join in on the FUN! I have some guest tutorials to share, hopefully some of my own too! I'm also planning a few GIVEAWAYS for participants and followers. In addition to celebrating the Holiday Season I am celebrating hitting 15,000 pageviews this weekend and having over 150 followers!!! I know this is really small compared to the stats the some of you have but I think it is nice to celebrate milestones in life. This weekend my family is celebrating my youngest son's birthday and his completion of college. This week we have been rudely reminded of how precious each day is with our loved ones. So let's go out and enjoy today just because we can!